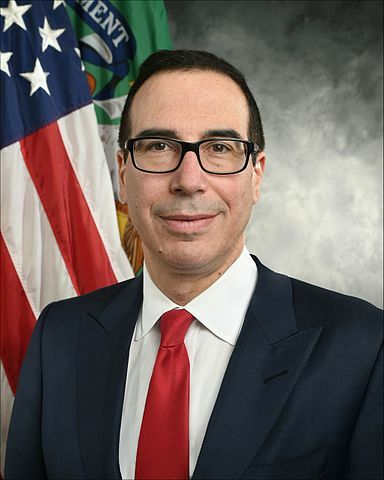 Steven Mnuchin’s Official Portrait as the 77th U.S. Secretary of the Treasury. US finance officials attending the G20 summit in Baden-Baden, Germany, refrained from signing a document committing the US to free trade as a policy. The refusal is a 180-degree departure from a decade-old policy of supporting free trade. The non-move stymied the chance of any deal from being forged. US intervention also led to any cooperative actions from taking place to stem the tide of climate change. The talks between the world’s 20 most important world powers, known as the G20, ended with no joint position statement that would have definitively renewed the country’s long-standing promise to develop and nurture free trade among the nations. US Treasury Secretary Steve Mnuchin led the US delegation and its push-back against free trade. As a result, the G20 finance ministers’ statement reneged on past commitments made by the body, including an unequivocal rejection of protectionism and a strident backing of free trade. Also conspicuously missing were the usual commitments to multilateral trade systems, like the World Trade Organization (WTO). The summit and the G20 are both an informal forum and a non-binding body of nations. Statements do not obligate any of the countries to any particular policy or practice. However, the discussions between the G20 nations and the statements they publish do have and impact on economic and financial policy in the year to come.